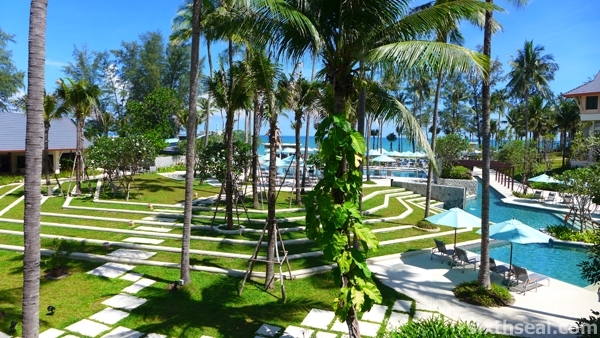 Outrigger Laguna Phuket Beach Resort is a newly re-opened family friendly beach-front property – it faces Bang Tao beach. 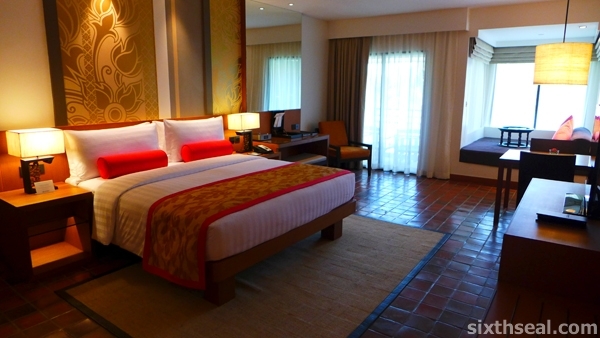 The entire resort has been completely renovated to modern standards during April 2013. 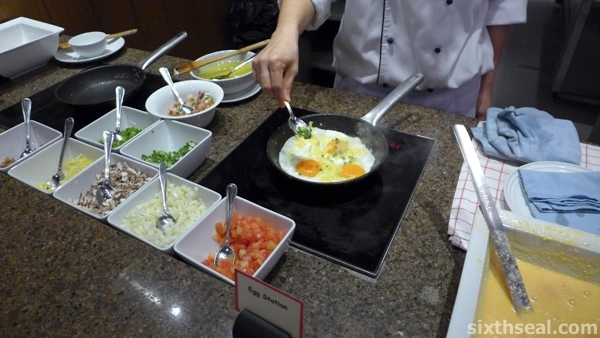 However, the traditional Thai touches and warm hospitality are still there. 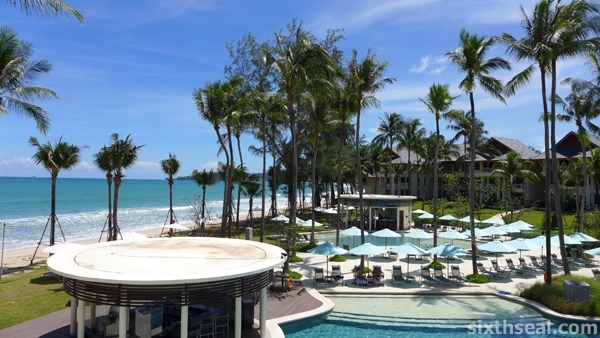 The best thing about Outriggers Laguna Phuket Beach Resort is the Water Park built right into the resort. In fact, it’s central and visible from reception! As someone who loves the water, I enjoyed this tremendously. 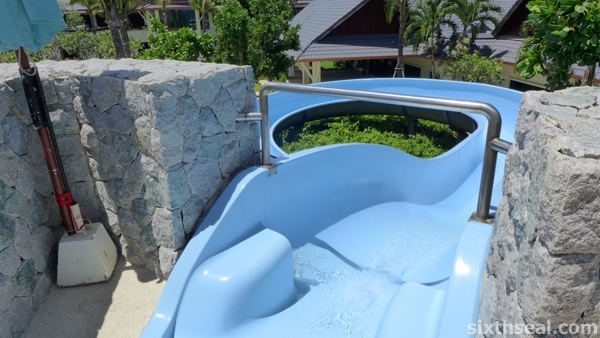 It has multiple interconnected sculptured pools just beside the beach and to top that off, a water slide! It’s not just a small little water slide either, this long and curvy water slide is usually seen at dedicated theme parks and it took me 40 seconds to get from top to bottom! You can watch this (slightly anticlimactic – forward to the 40 second point) video I asked a friendly vacationing family to help me take. I waved at them at the start and immediately went down the water slide. I splashed down at the end of the slide into the pool at around 40 seconds, and immediately went up again! Outriggers Laguna Phuket Beach Resort is only 20 minutes from the airport – we had a car from the hotel waiting to pick us up, complete with wet towels and bottled water. 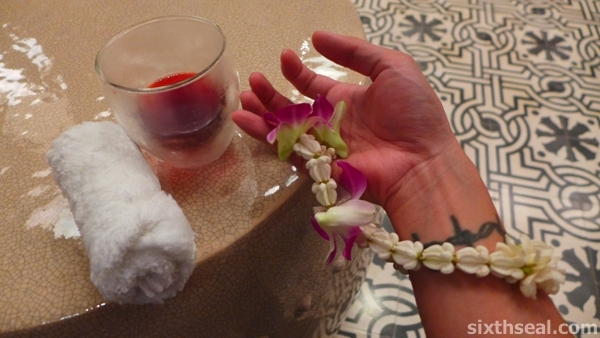 We got an intricate bracelet made of orchids (I’m sure there’s a proper term for this) and a drink of water while we got checked in too! Gotta love Thai hospitality! The rooms were surprisingly modern (or maybe not since it was just completely redone a few months ago) – flat screen Smart TV, a bath/shower combination, a day bed, free WiFi in all rooms (reliable and fast) and best of all, all rooms have a balcony or porch that looks out to the water! 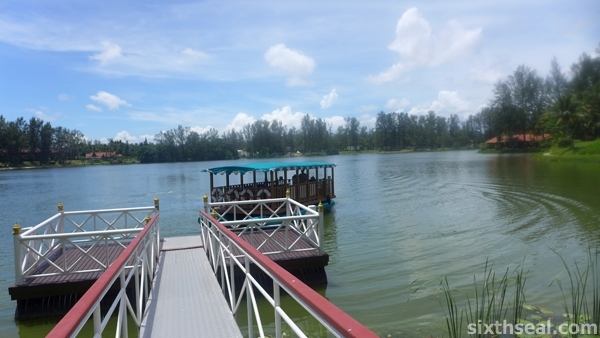 Okay, I mentioned a lagoon – Outriggers Laguna Phuket Beach Resort is actually part of the Laguna Phuket Destination Resort which links several resorts together by a lagoon. There’s a complimentary boat that takes you to all the different resorts and access to golf clubs and even a shopping strip mall! The boat service departs every 20 minutes and you can tell the guy where you want to go. If you want to get to places faster, there’s also a complimentary shuttle that gets you around the resorts and access to the 18-hole golf course which departs every 15 minutes! 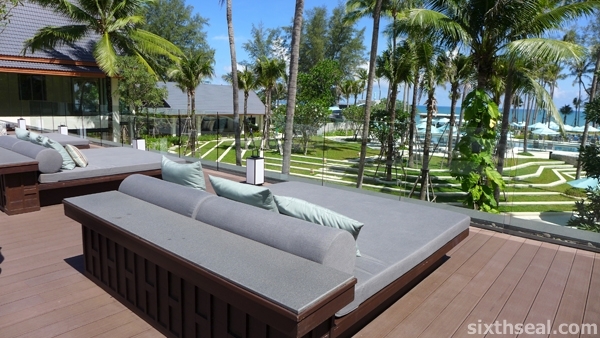 Of course, there is no real need to leave Outriggers Laguna Phuket Beach Resort – with the awesome white sand beach and azure calm sea right after the lobby, you can just chill by the beach and have a beer or a bite to eat at the various restaurants in the resort. Breakfast is a truly awesome affair with an amazing spread that kept me full most of the day! All the basics and more are there, customizable too! 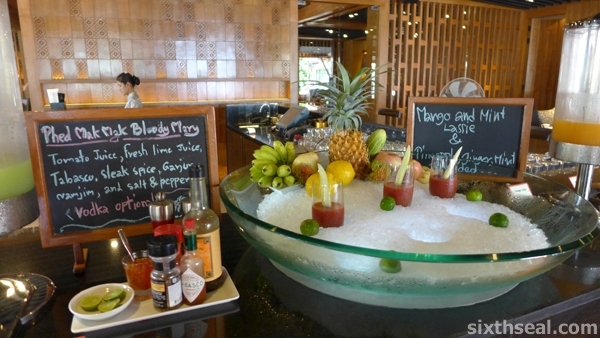 There’s also breakfast juices/cocktails which changes daily – like this local flavored Phed Mak Mak Bloody Mary. I like how I can just trudge down from a good night’s sleep being lulled by the tides into breakfast, get something nice and healthy to eat, grab a cocktail and head out to the pool or chill by the beach. 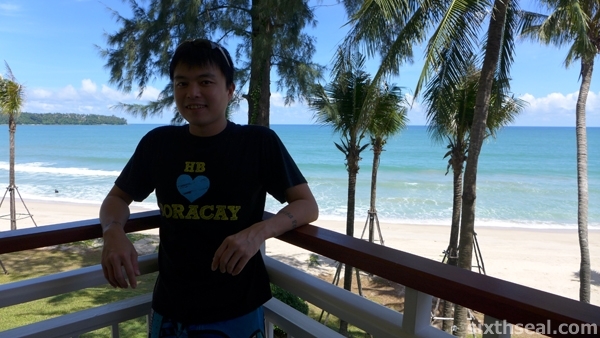 It’s truly one of the best resorts I’ve been to in Phuket – modern amenities combined with Thai hospitality on the quiet Bang Tao beach (trust me, you don’t want to go to the (in)famous Patong beach – that’s like Kuta beach in Bali, a noisy tourist trap). 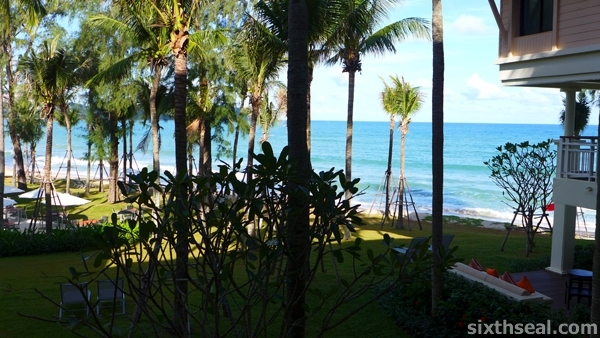 I really liked the location and the tranquility of Outriggers Laguna Phuket Beach Resort – I can chill by the Bang Tao beach and go down the water slide and hug a baby elephant twice a day! Generation Today – Win a laptop if you can steal it! I loves the beach, sand and the sea. Nice resort. 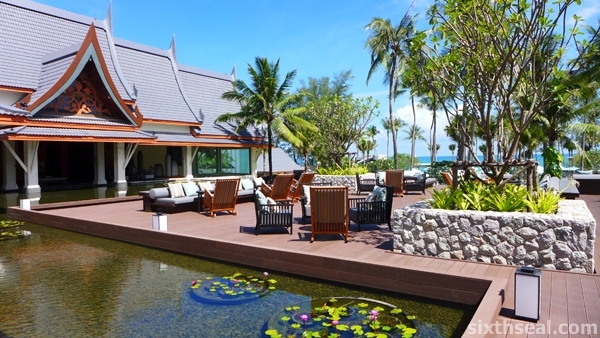 Will drop by if I go to Phuket for a getaway. 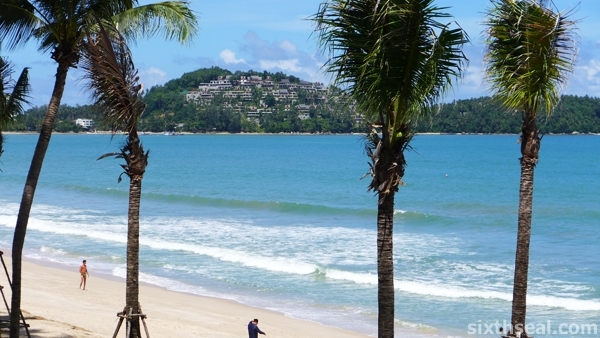 There’s nothing more relaxing and Bangtao beach in Phuket is a good choice compared to other beaches e.g. Patong beach, which is quite noisy. Lovely place. Wow!!!! THREE eggs!!! LOL!!! 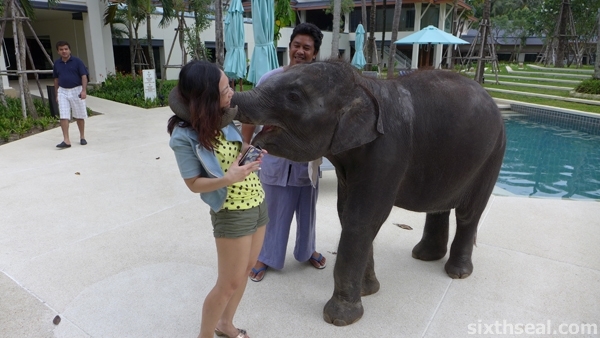 The place is really nice, best part is the waterpark and the resident resort baby elephant! I have heard of this resort but your photos looked like a fun and great place to have vacation. I like the boat service rides to anywhere! Outriggers is a Hawaiian chain and they did this resort so it has their signature touch on it. Wonderful pool(s) and waterpark with slide! 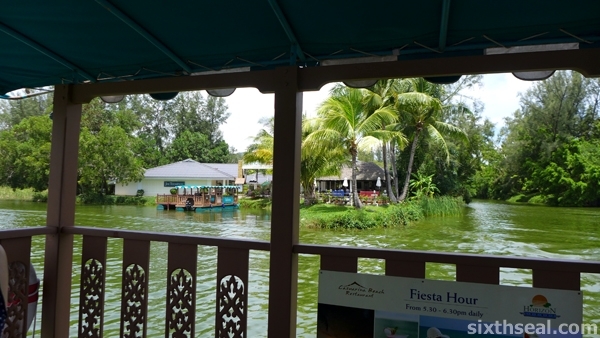 The boat service is complimentary and runs every 20 minutes within the lagoon! Yeah, some places like the infamous Patong beach is full of tourists! I know people who go there just for the dubious nightlife. The “technical” term for that “bracelet” is มาลัย or malai. It means a garland and is a loanword from Sanskrit “mala”. Interesting, it’s a Sanskrit root word eh? Malai, I’ll keep that in mind. I’m in for any beach holiday and this is a very relaxing one. We had all the time in the world to ourselves and just chilled at the resort one day and went out to town for another. what a place to relax! 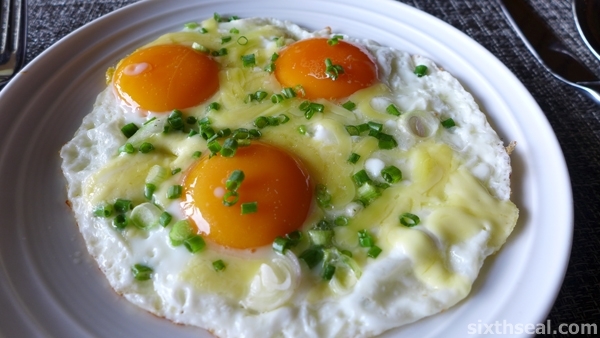 i like the way they fried the eggs, with spring onions sprinkled on top! 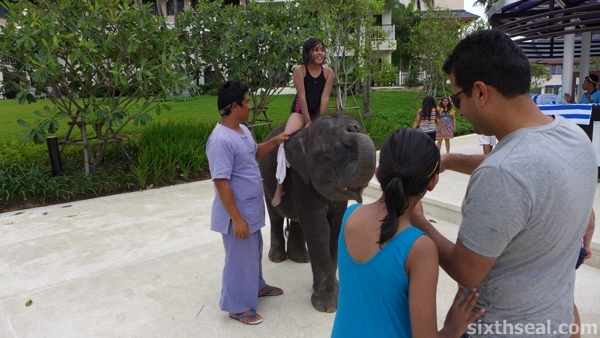 The water park and the resident baby elephant is Outrigger Laguna Phuket Beach Resort’s most unique things. They also have a timetable of stuff to do every day. They’re just so cute and adorable. 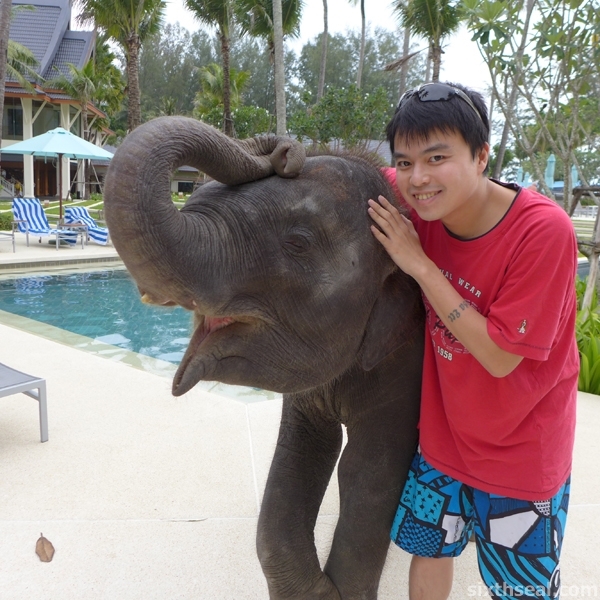 I first saw one also in Phuket, during the Club Med gala dinner where the new renovations were unveiled. I found it very relaxing too! 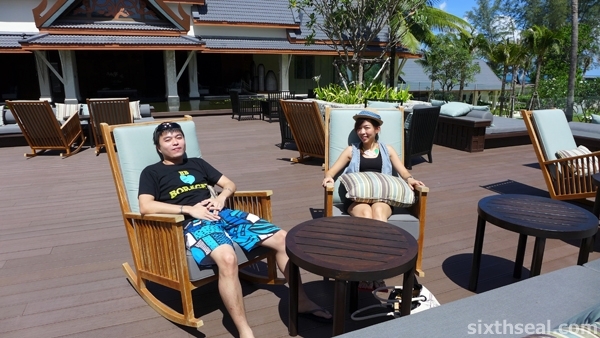 Didn’t have anything to do but to enjoy the resort facilities. I liked how we just went out to town the first day and chilled at the resort the next! I stayed here several times with my family when it was Laguna Beach Resort. It was an AMAZING resort to stay at. I’m considering going back next year so I’d like to know as this added to the authenticity of the culture and made for some cheap and delicious dining alternatives as you weren’t paying exorbitant hotel prices. I really enjoyed your review btw.